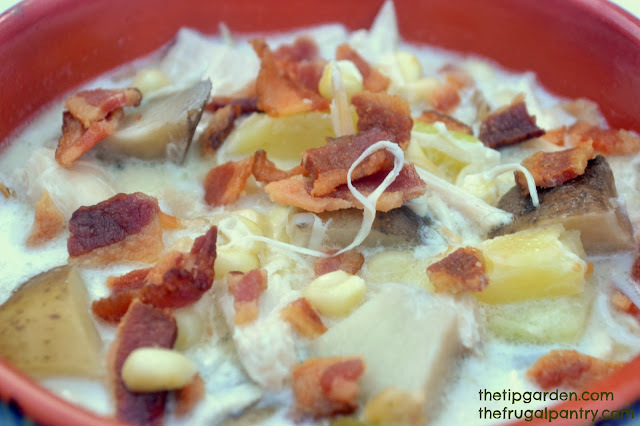 Rotisserie Chicken Bacon Corn Chowder is a wonderful soup that is not only warm on a cold night, but also a great use of leftover chicken! Add a salad or biscuits and you have a nice easy lunch or dinner. I am tweaking my husbands Grandmothers Original Corn Chowder Recipe to make this version.